Madagascar’s current geographic position is the result of two major rifting events over its tectonic history (Kusky et al, 2007). Madagascar was once a part of the supercontinent Gondwana but between 160-117 Ma, it began separating - rifting southward over 1000 km away from the Africa plate. This displacement occurred along the currently inactive Davie Ridge transform fault off the west coast of Madagascar running through the middle of the Mozambique Channel (Witt et al, 2003;Kusky et al, 2007). Many of the topographically high blocks comprising the Davie Ridge were periodically above sea level through geological history (Witt et al, 2003). Extensive deformation and episodic volcanism occurred during this period of tectonic movement as evident by analysis of dredged samples from this region (Kusky et al, 2007). The second rifting event (~90 Ma) involved the separation of Madagascar from the India and Seychelles Plates (Kusky et al, 2007), marking Madagascar’s final separation from Gondwana. This tectonic movement was associated with both volcanism on the island and along the Marion hotspot track to the south of Madagascar (Witt et al, 2003). 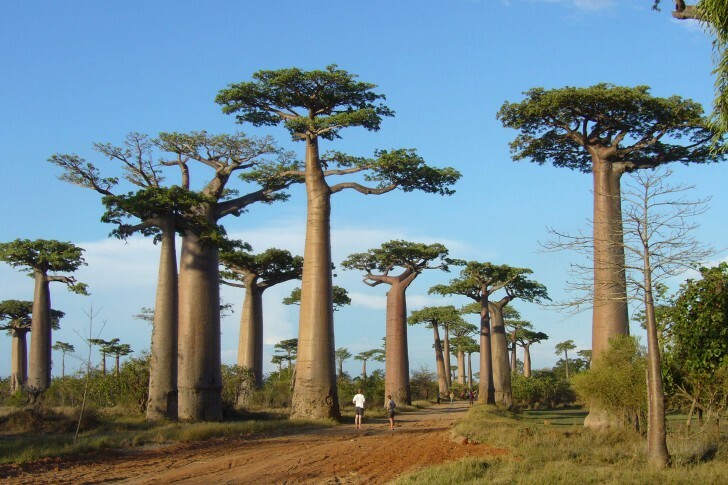 Although, Madagascar reached its present geographical location at the end of the Cretaceous, it is still tectonically, seismically and volcanically active (Kusky et al, 2007). 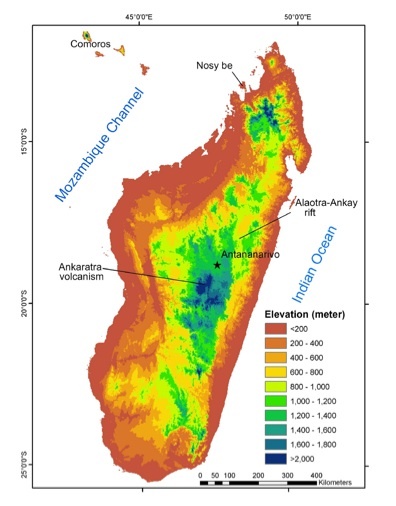 Figure 1 depicts the topographic relief of Madagascar and it's notable structural features. While magmatic activity in Madagascar is concentrated in regions characterized by thin crust, a current area of study is concerning whether northern volcanic activity, such as Nosy-Be, is associated with crustal fractures or the hot spot track of the Comores, north of Madagascar. The Nosy-Be Island has the most extensive volcanic area and exhibits volcanic structures such as concentric tuff cones surrounded by flanking lava flows and spatter cones (Melluso et al, 2000). Due to the isotopic and geochemical similarities between these two volcanic regions it is speculated that Comores and Nosy-Be Island could have originated from a similar mantle source (Melluso et al, 2000) and formed as a result of the movement of the Somali plate over the Comores hot spot (Kusky et al, 2007). Madagascar is seismically active with earthquakes generated in central Madagascar ranging in magnitude from 2.0 – 6.0 (Kusky et al, 2007). This seismicity is concentrated in two regions (see Figure 2): the Ankaratra plateau - the most seismically active - and in the Alaotra-Ankay rift valley (Kusky et al, 2010). Earthquakes occurring along the Alaotra-Ankay grabens in the rift system are aligned in a similar orientation to that of rift (N-S)(Kusky et al, 2007). 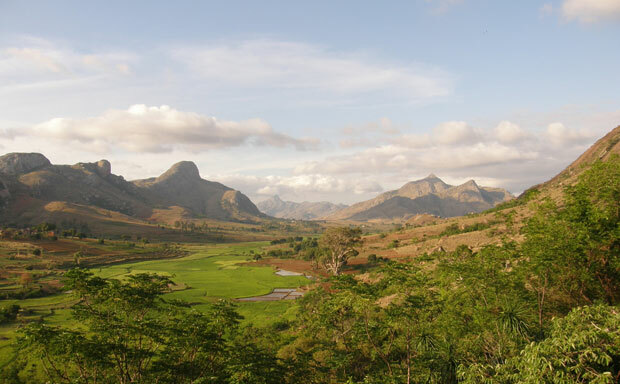 The Ankay-Alaotra rift valley in Central Madagascar is just 500 km to the east of the East African Rift system and exhibits a similar orientation (NE-SW) to this divergent plate boundary in Africa (Chorowicz, 2005;Kusky et al, 2010). Normal faulting tectonically controls the Ankay-Alaotra rift system - a component of a regional graben system orientated N-S (Kusky et al, 2007) as a result of the east-west extension during the mid-Cenozoic (Bakoariniaina et al, 2006). Bakoariniaina, L.N., Kusky, T., Raharimahefa, T., 2006. Disappearing Lake Alaotra: Monitoring catastrophic erosion, waterway silting, and land degradation hazards in Madagascar using Landsat imagery. Journal of African Earth Sciences 44, 241-252. Collins, A.S., Windley, B.F., 2002. The Tectonic Evolution of Central and Northern Madagascar and Its Place in the Final Assembly of Gondwana. Journal of Geology 110, 325-339. Chorowicz, J., 2005. The East African rift system. Journal of African Earth Sciences 43, 379-410. Kusky, T.M., Toraman, E., Raharimahefa, T., Rasoazanamparany, C., 2010. Active tectonics of the Alaotra–Ankay Graben System, Madagascar: Possible extension of Somalian–African diffusive plate boundary? Gondwana Research 18, 274-294. Kusky, T.M., Toraman, E., Raharimahefa, T., 2007. The Great Rift Valley of Madagascar: An extension of the Africa€́“Somali diffusive plate boundary? Gondwana Research 11, 577-579. Melluso, L., Morra, V., 2000. Petrogenesis of Late Cenozoic mafic alkaline rocks of the Nosy Be archipelago žnorthern Madagascar: relationships with the Comorean magmatism. Journal of Volcanology and Geothermal Reasearch 96, 129-142. Wit, M.J.d., 2003. Madagascar: Heads It's a Continent, Tails It's an Island. Annual Review of Eath and Planetary Science 31, 213-248.